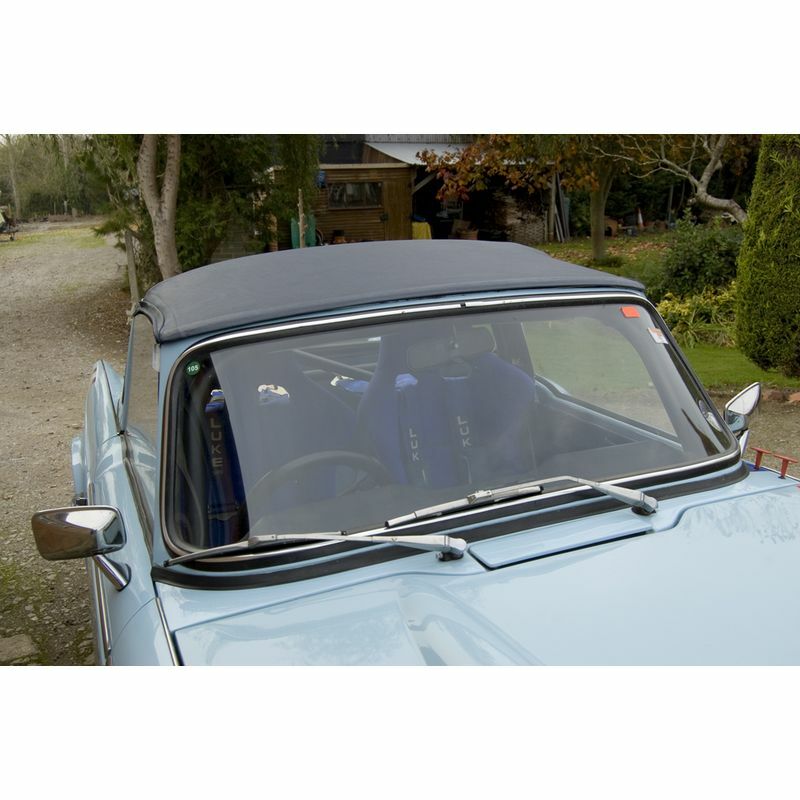 Improved Black Mohair Surrey top kit with TR250, 5 and TR6 soft-top style header rail. This kit does away with the archaic idea of tucking the Surrey canopy under the front windscreen capping. 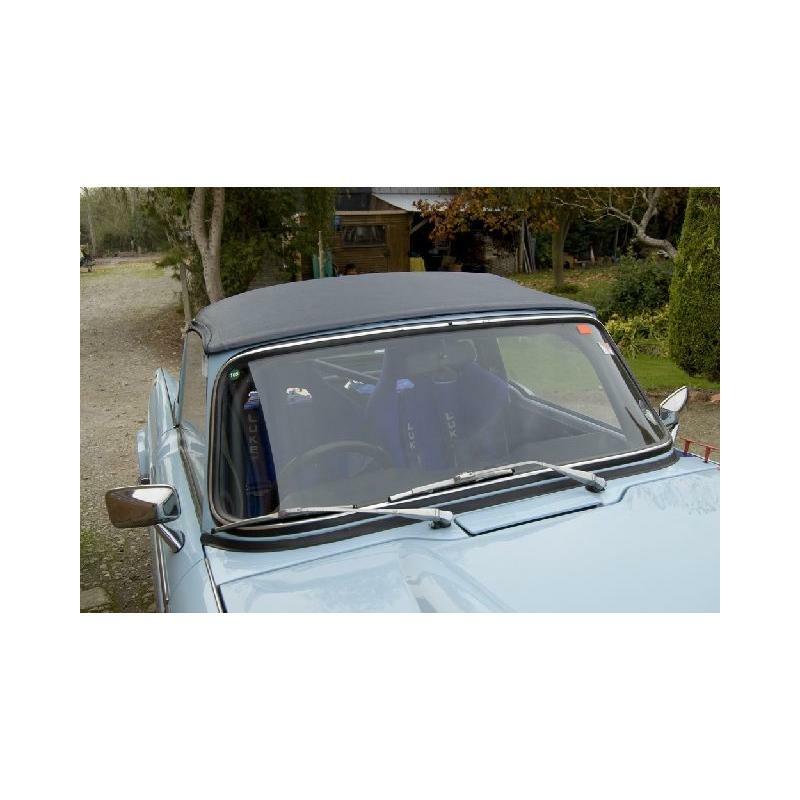 This kit offers a significant improvement to the front attachment of a surrey top cover to the windscreen frame of TR4-5 and TR6 where these cars have been converted to incorporate a backlight frame. The kit is suitable for TR4, TR4A, TR250, TR5 and TR6. The original Triumph arrangement was crude insofar as the front of the surrey top canopy was simply tucked under the specially extended aluminium screen capping and was expected to stay there by magic. For the most part the magic worked but high speed driving would always leave the driver wondering at what point the canopy would part company. 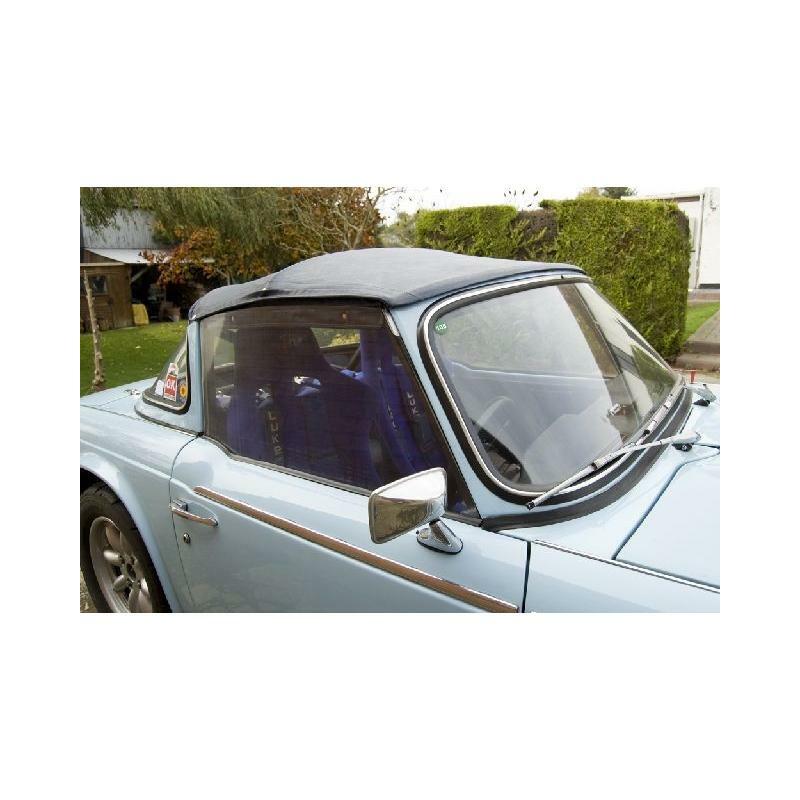 This new surrey top kit incorporates a fixed header rail just like a TR5-6 soft top which is secured to the windscreen frame with substantial catches which will not come undone. An added advantage is that the complete surrey roof is much easier and quicker to fit, a significant bonus when that rain shower arrives unexpectedly. The kit is available in black or white Everflex, coloured Everflex and mohair both black and colours. Please enquire for price and availability of special requirements although we do list RTR6139SPK and RTR6139MSPK which will give an idea of the modest additional cost to make the cover in a special colour. Everflex incidentally is a name given to hooding grade vinyl. Kits RTR6139BK, RTR6139WK, RTR6139SPK, RTR6139MBK and RTR6139MSPK contain all the necessary components to fit the kit to a TR250, 5 and 6 which has had a soft top fitted and therefore will have the hood catches already in place on the top of the windscreen ready to accept our new style surrey top arrangement. 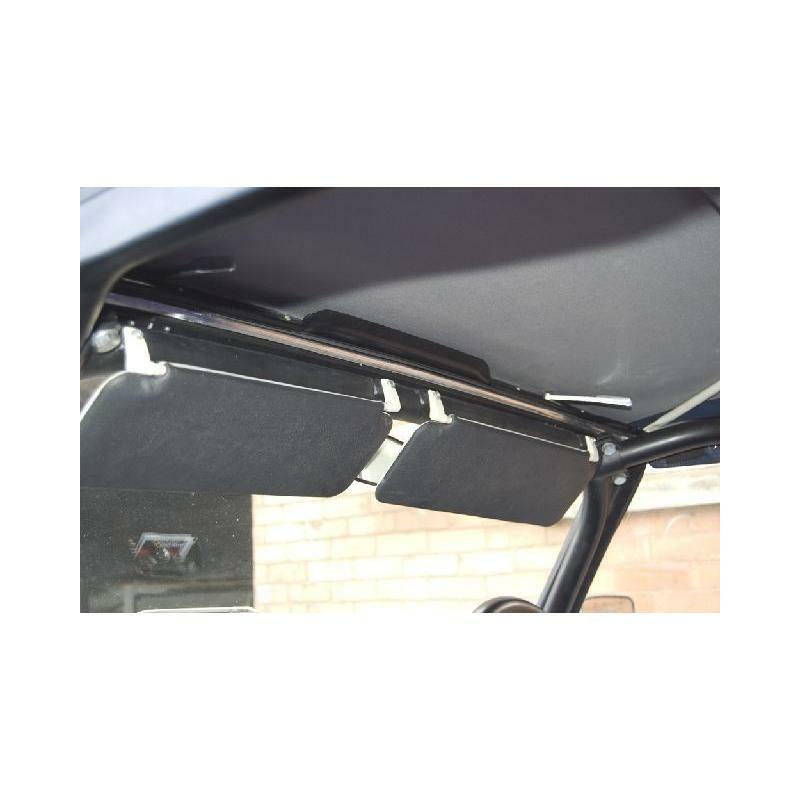 When converting a TR250 or TR5 from an existing Surrey top canopy to our new kit, extra catches and a new windscreen frame capping are required. Order kit no. RTR6153BK. TR4-4A owners who intend to use this kit will need a catch adaptor kit and a new windscreen frame capping. Order kit no. RTR6153AK. 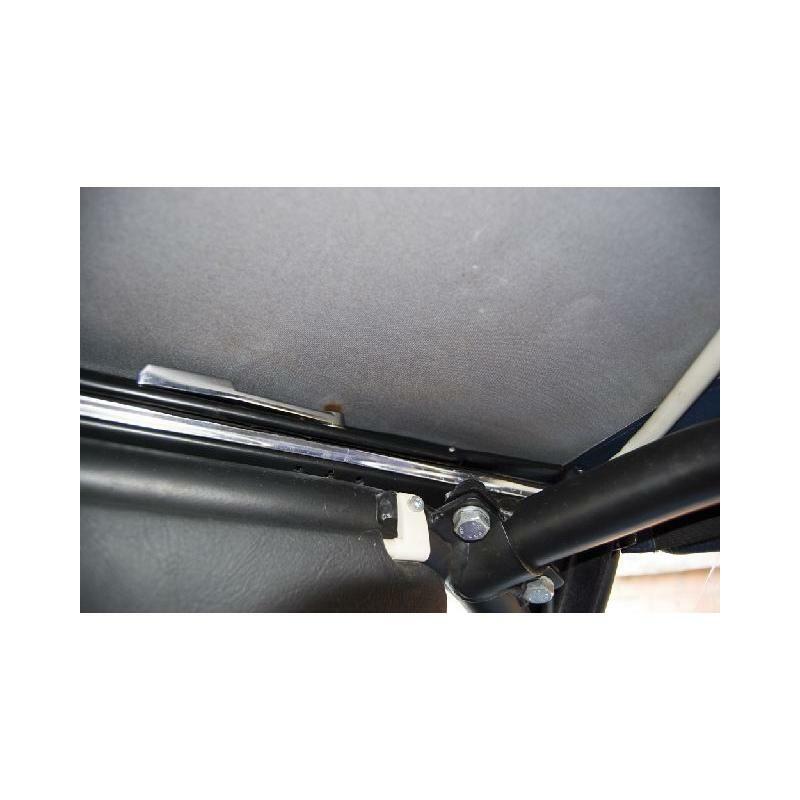 It should also be borne in mind that a small modification is needed to the top of the windscreen frame to accommodate the TR5-6 type windscreen capping and special catch plates. This is explained in more detail under part number RTR6153AK and fully explained in the fitting instructions supplied with all RTR6139 series kits. Kit RTR6153CK is a further additional kit which might be required. 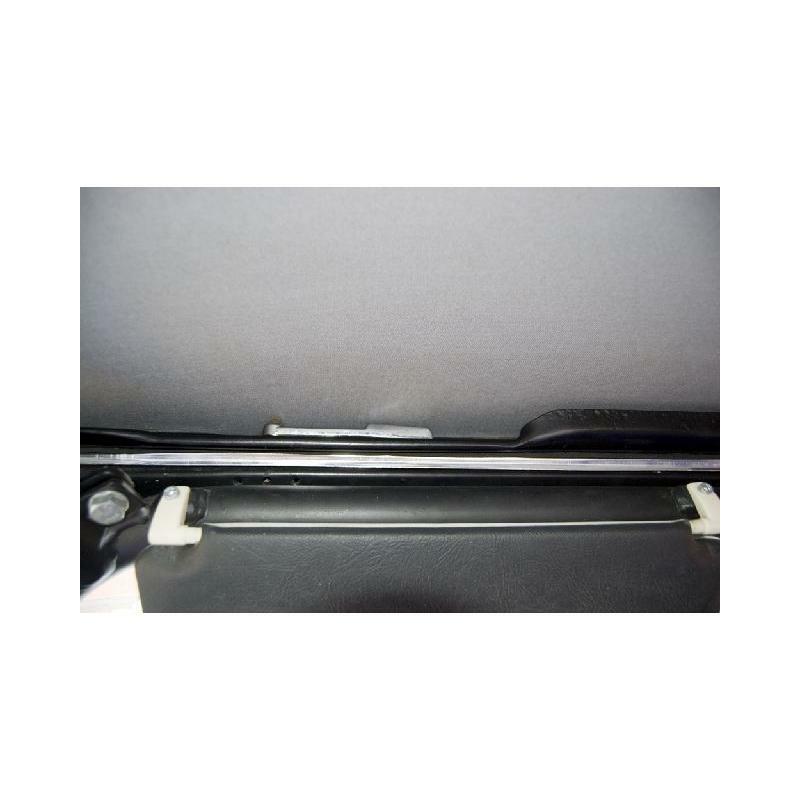 It provides extra-long bolts to attach the rear of the Surrey Top and the hard top (as well as Allen keys to tighten them) to the backlight frame ONLY when our fibreglass backlight frame with Roll Over Bar in the RTR7122 series is to be used in conjunction with the kits in the RTR6139 series. The above three kits have been generated and the component parts removed from the basic kits RTR6139__K to avoid costly duplications. 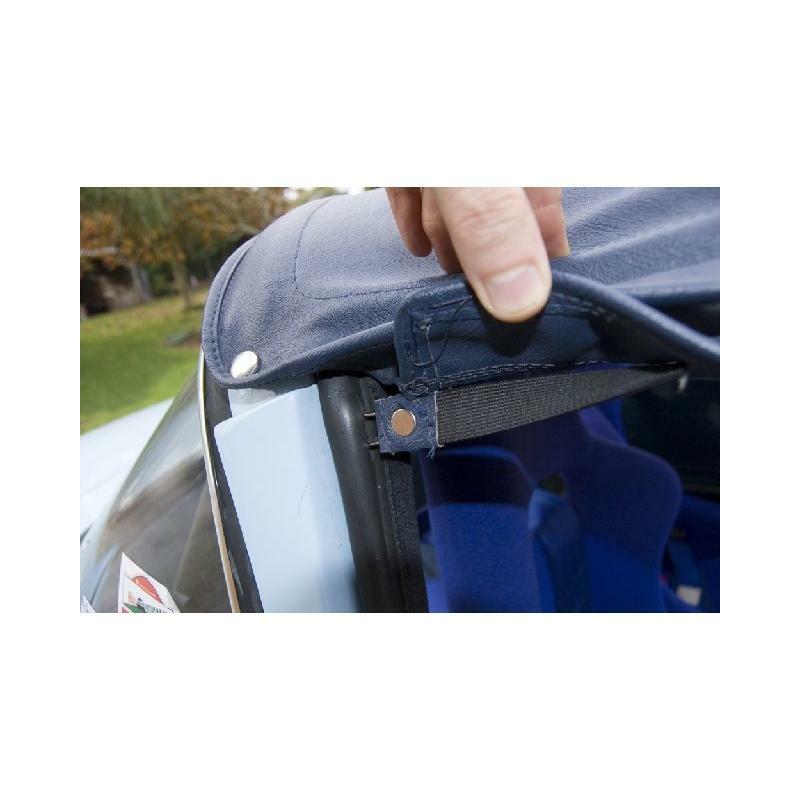 Revington TR can supply a stowage bag with a Velcro flap that will keep the surrey top clean and tidy. Order RTR6176B, which is a black bag. See below. Other colours are available to special order. Q: I have a new hood/surrey top/tonneau cover which appears to be too small for the car. What can I do? 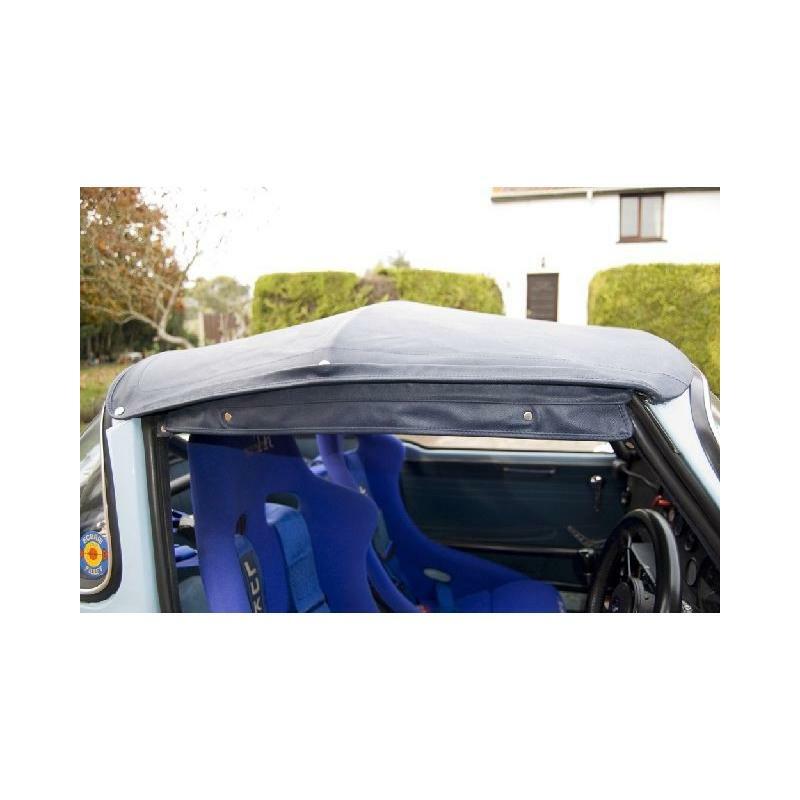 Firstly most surrey tops, hoods and tonneau (I'll call these 'covers') are made to patterns that have been created from original covers that invariable have been removed from cars that have not been rebuilt. As many of these covers and patterns have been in use for many years it follows that whilst mistakes in manufacture can occur, it is likely that the problem lies elsewhere. Firstly it is important to ensure the car is the right shape. 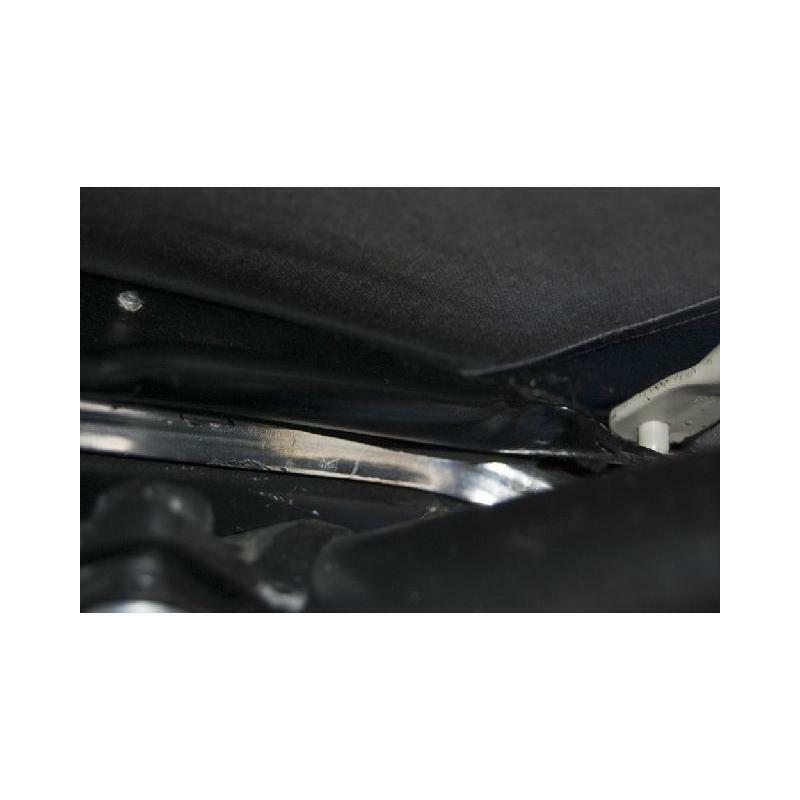 If the car has been rebuilt and especially if the floor pans and sills have been replaced it is easier for the body shell to end up longer than standard, than it is for it to be shorter. The chassis on TR4A-6 are notoriously weak and can bend in the middle which will result in the rear of the cockpit moving away from the top of the windscreen. Check your car against similar cars of good provenance to ensure your cockpit dimensions are correct. 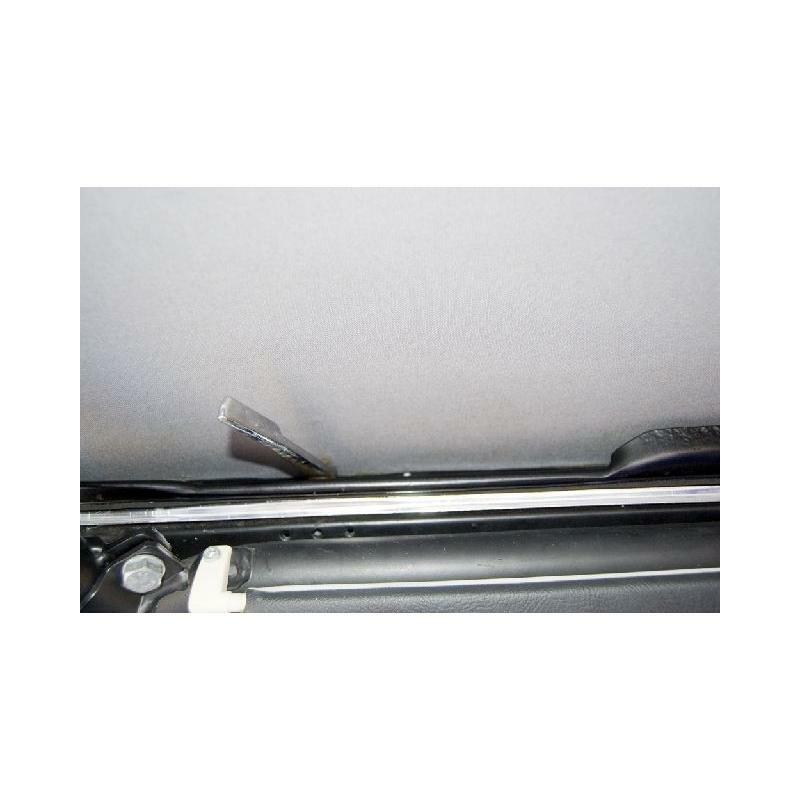 For reference on a car with a backlight frame to accommodate a surrey top, we know the dimension between the holes in the top of the windscreen frame for the surrey spider frame and the holes in the backlight frame to accommodate the spigots of the rear frame is 760mm. Covers are made from hooding material which can either be vinyl or mohair. These materials when new are relaxed and must be significantly stretched when being fitted to ensure a taut fit in service. This stretching will require significant force which must be aided by ensuring the cover is not just warm but really quite hot, equivalent to a very hot summer's day in direct sunlight so that the cover becomes a floppy bag. In this way the cover will be taut at speed and on seriously hot days and not revert to a floppy bag. This level can be achieved with a hot air gun, hair dryers or a fan heater, ensuring all safety requirements are met. It will be surprising how far the material will stretch and how this amount of stretching when the cover is fitted will result in neat installation with no creases in the material. Q: What is the correct definition of a Hood, a Hood Cover a Tonneau and a Surrey Top? We appreciate that our English terminology (French actually in the case of Tonneau) can sometimes be confusing. Here are our definitions of a Hood, a Hood Cover a Tonneau and a Surrey Top. In our modern world of global trading terms we use for products can be confusing. The products in question here are particularly confusing as for example a hood to us in the UK is the cloth bit over your head, yet in the USA it is the bit over the engine (a bonnet to us). This FAQ should clear matters up. A HOOD is the cloth part of the complete hood assembly that goes over the Hoodstick assembly from the rear deck to the top of the windscreen. Confusingly Triumph in some parts books refer to the hood as a hood cover. This is also often referred to in common language as a Soft Top. 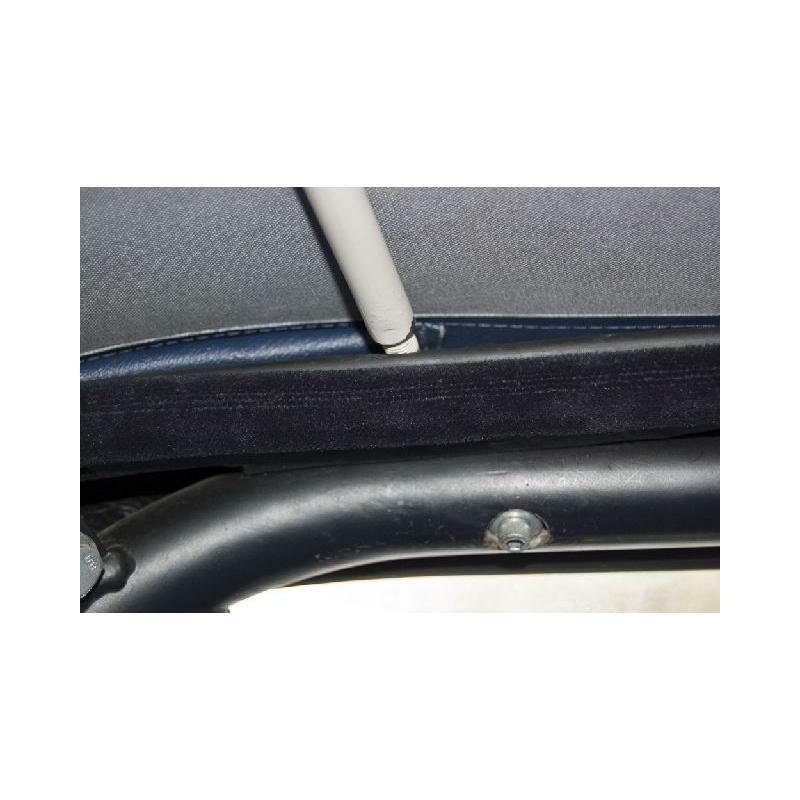 A HOOD STOWAGE COVER is a tidy cover over the hood and hoodsticks (hoodsticks only in the case of TR2-3A) when folded away and sits around the back of the cockpit attached to the rear deck. A TR4 does not need one as the hoodsticks are folded behind the cockpit rear squabs. 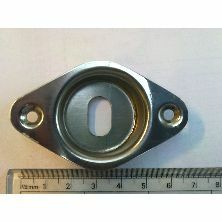 Most Triumph parts books refer to the stowage cover as a Hood Stowage Cover Assembly but in everyday language this cover is often simply refereed to as a hood cover. 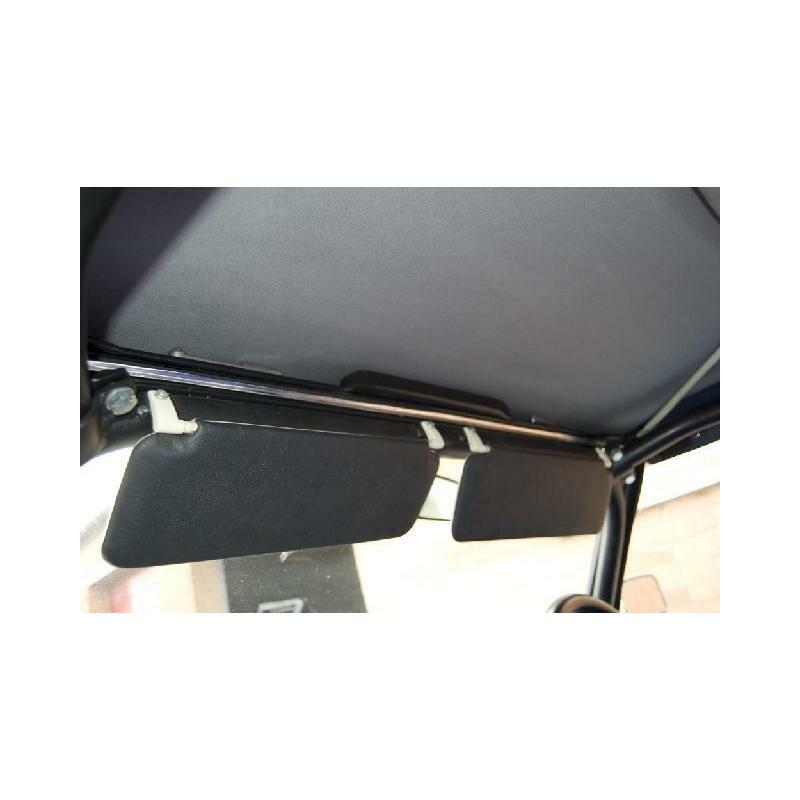 A TONNEAU cover goes over the whole cockpit from the rear deck to the base of the windscreen and zips up the middle so it can be used whilst driving or as a complete cover whilst parked. A SURREY TOP is the cloth part only fitted when the hard centre panel is removed from a hart top TR4, 4A, 250, and 5. 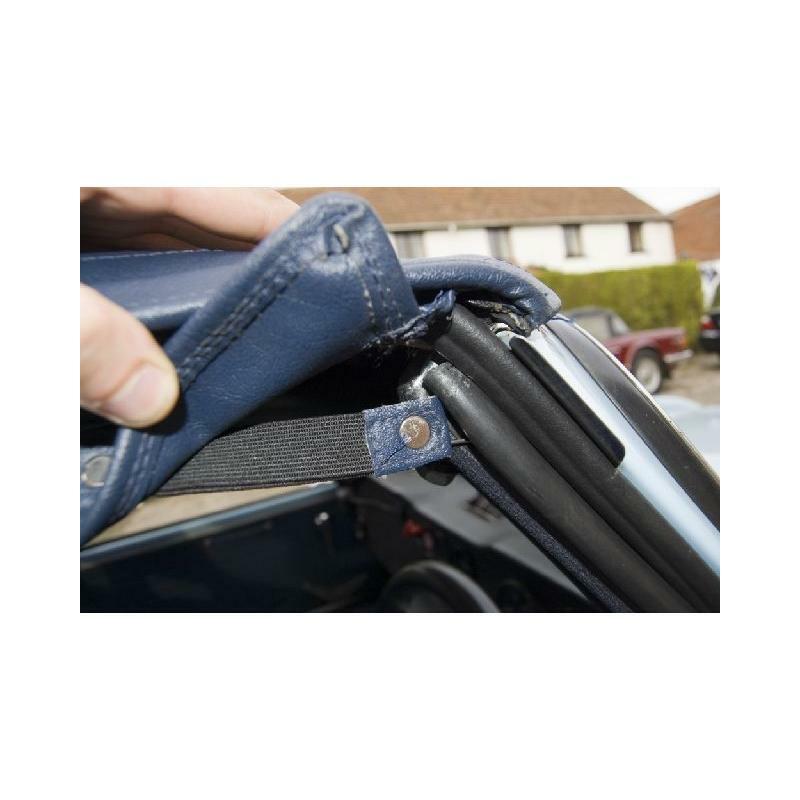 Revington TR information: Windscreen catch kit required as a supplement to Surrey top kit RTR6139 series when the kit is to be fitted to a TR4-4A windscreen frame. 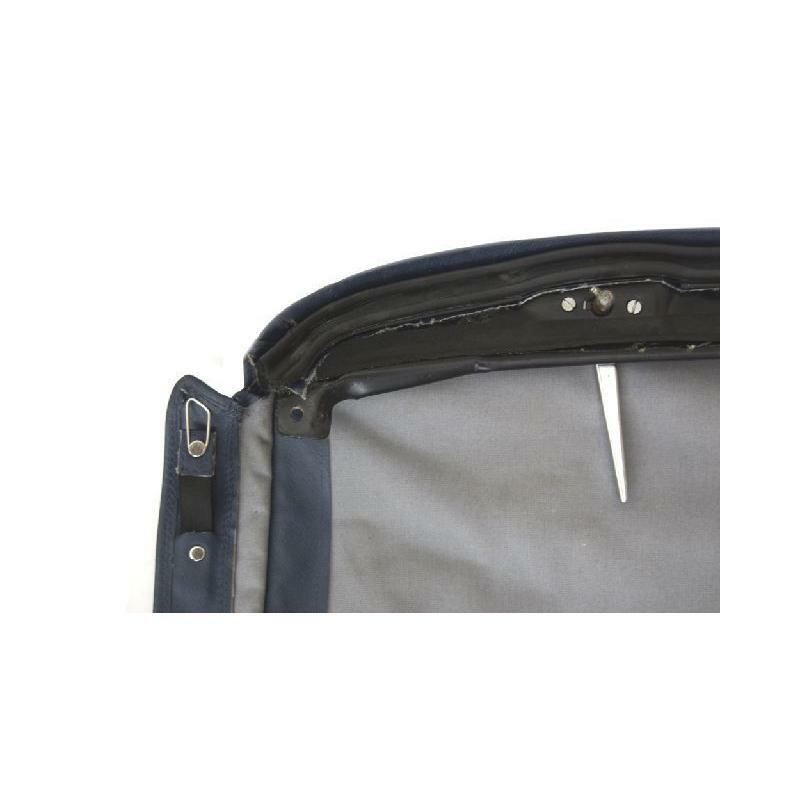 Revington TR information: Protection bag for Surrey top with Velcro flap which will accommodate the Surrey top and its frames. 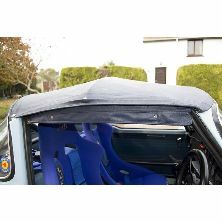 Revington TR information: Improved Mohair Surrey top kit with TR250, 5 and TR6 soft-top style header rail supplied to special order to customers specific colour requirements. 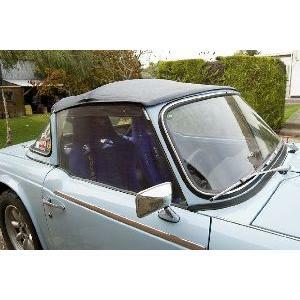 Revington TR information: Improved Black Everflex Surrey top kit with TR250, 5 and TR6 soft-top style header rail. This kit does away with the archaic idea of tucking the Surrey canopy under the front windscreen capping. Revington TR information: Improved Everflex Surrey top kit with TR250, 5 and TR6 soft-top style header rail supplied to special order to customers specific colour requirements. Revington TR information: Improved White Everflex Surrey top kit with TR250, 5 and TR6 soft-top style header rail. This kit does away with the archaic idea of tucking the Surrey canopy under the front windscreen capping. Revington TR information: Fit up kit, for detachable backlight incorporating Flexiglass screen, including all fittings required for a standard fit.